… or in some cases, old but forgotten tricks. The first comes from a Quora question, asking for the most underutilised feature in Excel. I had totally forgotten about this, but I must have known about it once, as I have posted two comments on it. This entry was posted in Excel, UDFs, VBA and tagged Debugging UDFs, Excel, Tool-tips, UDF, VBA. Bookmark the permalink. I’m not sure how that is much simpler, but it does something different. “Run to Cursor” runs all the code in between the break and the selected line; “Set Next Statement” jumps straight to the selected line. As said in the text, you can either drag the yellow arrow, or use the right click menu to set the next statement. 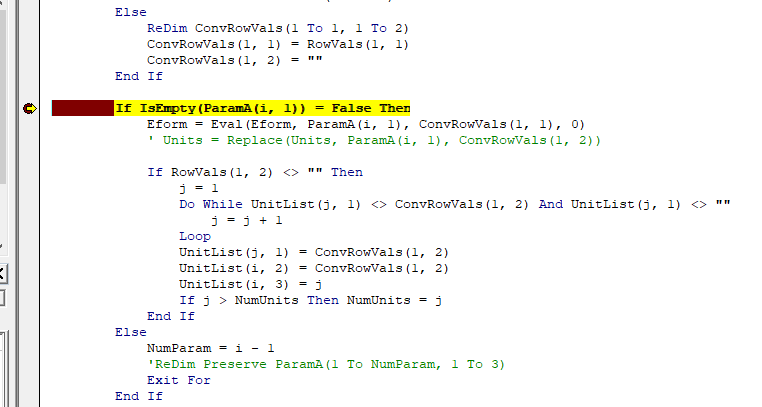 Thanks for pointing these out, I was unaware of that ctrl trick to see the extra characters in the vba tooltip. Another undocumented trick relates to range references within cell formulas. It’s well known that pressing [F9] in edit mode can resolve the selected part of a formula as a value or as an array of values. Less well known is that pressing [F5] followed by [Enter] in edit mode can resolve the selected part of a formula as a range reference (including names and R1C1-style references – see examples below). In either case, to revert the last change, just press [Ctrl+Z] while still in edit mode. 2. Selecting single references like “A2” within a formula and pressing [F5] then [Enter] replaces the selected cell with the corresponding range name, “y”. I tried to try your example with “a,b,c” instead of “x,y,z”, and discovered that you can’t use c or C as a range name (or R). You can enter a cell address in the name box (in A1 or R1C1 notation) and it goes to that cell.